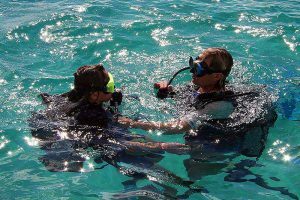 The course prepares you to deal with dive emergencies using a variety of techniques. During rescue scenarios, you put into practice your knowledge and skills. Topics include self rescue; recognizing and managing stress in other divers; Emergency management and equipment; rescuing panicked divers and rescuing unresponsive divers.